One of the major reasons why many Nigerian airlines operate with an average of three aircraft and also operate geriatric equipment is their inability to obtain loans. Unlike what has almost become a tradition in other parts of the world; where loans given to the transport sector are usually long term and at very low interest rate because of the importance of transport in the economic mix of a country and the fact that road, rail and air transport system do not make run-away profits, besides the critical role they play in the economy of every nation. In Nigeria, commercial banks, which are profit oriented and without huge financial base are reluctant to lend such long-term loans to airlines and this has hampered air transport sector in the country. The situation is not helped with the risks association with air transport in the country. So lack of adequate funding has led to the short life span of many airlines, in addition to bad business plan and technical failure, it has also led to the many air crashes suffered by airlines. Reports revealed that in the 1970s and 1980s even into the 1990s, there were about 36 African international airlines of which 26 of them had intercontinental flight services. Then they owned about 60 per cent of the market share in the continent, but today there are only about 12 African airlines that have intercontinental operations. Also, reports showed that over the last 12 years, 37 airlines were launched in Africa and almost all of them had failed. Many African nations have lost their national flag carriers, including Nigeria Airways, Ghana Airways, Cameroon Airlines, Zambia Airlines and East Africa Airlines and many other airlines have been liquidated. Air Afrique, a Pan-African Airline established by 11 West and Central African French speaking countries was also liquidated. Most of those, which are operating currently, are fighting for their survival, including the recently established ones, just as one of the leading airlines in Africa, South Africa Airlines, is in a bad shape. It is receiving state funding to run its daily operations, but luckily for the airline, the South African President, Jacob Zuma said recently that his government would never allow the airline to die and therefore would do everything possibly to resuscitate and sustain its operations. Air Tunis also is reducing its staff on its way to demise and Precision Air of Tanzania in which Kenya Airways has a 40 percent stake had filed for bail out, as Kenya Airways management had realised that why it is in the emergency ward is because it was ‘abandoned’ by the government, which allowed the airline some autonomy to operate on its own. There have been efforts by private investors to establish and run airlines in many countries in the continent. Only few of the privately owned commercial airlines are thriving and almost all of them literally suffer some fracture or are sick in other ways. Many of them are sick because they cannot source funds to increase fleet, acquire maintenance facility or acquire the right personnel in required number. In a paper presented at the just concluded Air Finance Africa Conference and Exhibition in Johannesburg, titled Challenges in Syndicating Aviation Finance Deals for Africa by Samuel Mugoya of Africa Export-Import Bank (Afreximbank) showed that despite its slow start, African airlines are beginning to source credit facilities easier now than in the past. Few years ago when Nigeria joined the Cape Town Convention, which eased leasing for airlines in the country and also made it possible for such airlines to access funds from international financiers, there was obvious fresh breath in the operation of these airlines. 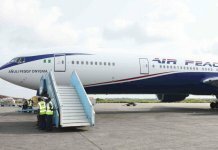 Perhaps that was what gave fillip to the rise of Nigeria’s biggest carrier, Arik Air and the establishment of the defunct Virgin Nigeria, which was swept out of oblivion by mismanagement and lack of sincerity, just few years after it was established. Arik and Virgin Nigeria brought a climate of change in the nation’s air transport sector and benefitted from international financing. Mugoya, in his presentation at the conference, said that the total reported syndicated loans for African airlines was about $93 billion, from January 2013 to first quarter of 2016, according to Bloomberg. There was also $7.3 billion-total reported syndicated transport sector deals (including airports, rail, logistics, ports, shipping etc. ), representing 8 per cent of total syndicated deals during the period and$1.3 billion total reported airline financing syndicated loans representing 18 per cent of transport Sector transactions an 1.4 per cent of African syndicated deals during the period. “All major manufacturers share the view that Africa’s fleet will more than double until 2035,” observed. Mugoya disclosed that within this period Airbus forecasts that demands for aircraft in the continent would include 1,117 deliveries and 100 retirements of narrow body and wide body aircraft for the period; Boeing predicts 1,170 deliveries for the same period. Embraer forecasts deliveries of 240 70-130 seat regional aircraft and 140 turboprop regional aircraft for the 2015-2034 period. Airbus and Boeing also expect over 1,100 wide body and narrow body deliveries until 2035 with only 137 firm orders today. Mugoya identified low margin, highly leveraged balance sheets, high dollar exposure, significant capital expenditure and high fuel costs as some of the challenges faced by African carriers. He also observed that airlines in the region are exposed to intemperate economic environment, economic and political upheavals, uncertainties caused by political transition and undulating fortunes of tourism in the continent. Mugoya noted that high tax regime, including ticket taxes, flown segment related fees, landing fees and parking fees, passenger service charge, as in Nigeria, VAT and other charges lead to high cost structure and dampen revenues for airlines. African airlines are also faced with infrastructure challenges, including airports, air traffic control etc. ; regulatory fragmentation that include multitude of Bilateral Air Service Agreement (BASA’s) between African states, and delayed implementation of open skies policy for Africa, which is derived from the Yamoussoukro Decision, have adversely impacted airlines in the region. 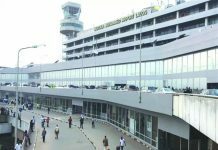 In order to overcome the failure to provide the needed modern airport facilities, the federal government of Nigeria has announced its intention to concession the four international airports in the country in order to attract private investment in airport development. Mugoya observed that aviation finance is a key pillar of Afreximbank’s intra-African trade expansion strategy based on Create, Connect, Deliver pillars, adding that the continent that trade within itself expand trade and develop much faster, which he suggested Africa should embrace, as it has been noted that intra-African trade is comparatively very low. For Afreximbank, support of African carriers is a duty and obligation of the bank because international carriers currently have 80 percent share of the African market so to have a significant share of the market, African airlines must be supported with funding. So Afreximbank has the mandate to support African airlines. The bank originates, distributes and holds business models, including long-term partnership with the airlines and lenders; airlines leverage the bank’s preferred creditor status in African member states to attract regional and international funding into aviation deals and also mitigate lenders country risk concerns. Mugoya said Afreximbank’s established agreementsets forth the purpose and functions, legal status, scope of membership, the operations as well as certain immunities, exemptions, privileges, facilities and concessions of the bank. These include that the participating states agreed to waive and refrain from imposing, any administrative, financial, tax or other regulatory restrictions; also the bank’s property, assets, operations and activities are free from restrictions, regulations, supervision or controls, moratoria and other legislative, executive, administrative, fiscal and monetary restrictions of any nature. “Currently developing a strategy to establish an African owned and focused aircraft leasing platform (reduce capex financing burden of African carriers),African Export-Import bank has earmarked over $20 billion to be given to airlines from member African countries as syndicated loans to acquire new aircraft.This offer is aimed at reviving and sustaining airline operation in the continent and the fund is only given to airlines that intend to acquire new aircraft,” Mugoya said. He however remarked that there is a lot of debt financing for African airlines but no equity and faulted the business plan of many of the airlines, saying most of the business plans are not satisfactory. Faulting the business plan of the airlines in the region he said, “A lot of routes are not developed on business principle. A start up airline should begin with domestic operation; then regional operation and the business plan should reflect business reality. You find many airlines in Francophone countries rushing to operate to Paris, while Anglophone countries rush to go to London without checking the business sense in that route,” Mugoya said. When these funding opportunities are opened for African airlines, it is hoped that they would operate successfully and begin to recapture the market share, which their foreign counterparts had taken away.